Affiliate Marketing is a common and flourishing trade with more companies opting to add Affiliate Programs as it helps them improve their business and increase their revenues. An affiliate is a company that works in tandem with a company and helps by diverting traffic to a particular site. The customers are driven to the parent site by the affiliates using their own ingenuity and concentrated marketing efforts. These are actually third party vendors who are in no way connected to the day-to-day affairs of the company or the merchant who is actually doing the business. Affiliates resort to the regular methods that are adopted by other online marketing companies and are experts in online advertising. The affiliates are often well versed in organic Search Engine Optimizing and other methods like paid marketing practices followed by Search Engines. They are a parallel marketing company that at times rivals the merchant due to the intensity in their marketing efforts that can include campaigns through emails, and marketing using clever content and by resorting to banner display advertising. PPC or pay-per-click is another favorite of affiliate marketers. They often indulge in reviewing products of their parent companies, picking up a product and publishing the reviews they create. Affiliate Marketing by Affiliate Marketers are purely driven by the financial gains that accrue from their efforts and have nothing to do with the product itself. 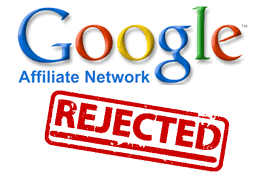 Google hates affiliate marketers for the unethical practices they indulge in most of the time, it is ultimately the merchant who is going to suffer, and they as affiliate marketers are in it for just the money. They primary reason could be that they are often responsible for very low landing page scores due to their practices. Once detected and banned by Google, these affiliate marketers do not give up that easily, simply go ahead, and continue their activities in a new domain until they are caught again and banned by Google. However, it is interesting to note that some direct affiliate marketers who had direct links to the merchants’ sites managed to remain undetected and unscathed. However, Google has vehemently denied the charge that they are dead against affiliates who use their Adwords system, however what Google has done is provided some site quality guidelines that they expect the affiliate marketers to follow diligently. Google expects the individual advertiser or affiliate marketer as he or she calls himself, to studiously follow these guidelines and hates those who do not comply. This second reason for hating affiliate marketers has been felt by most of these marketers at one time or the other. The third thing that the deciding folk at Google seem to dislike very much is when many ads make a beeline to a particular kind of landing page of various sites, all at the same time. The pages could actually have different domains, however Google sees through the deviation. This is probably to dissuade the use of a similar keyword that has already featured in another website successfully, and is being tried out the affiliate marketer seems to be taking advantage of this and driving traffic through this keyword to his parent merchant’s site. The fourth thing that Google seems to hate about affiliate marketers is their use of content that is of consistently low quality. It is more like content for the sake of content, with no relevancy to the merchant’s site or products or services. Google is not too happy with content that cannot be called unique. Google frequently sends out warnings to merchants who have affiliate marketers who use content that is not unique, explaining that they should not get into unnecessary trouble by associating with such affiliates. Finally, Google does not like affiliate marketers who indulge in spam related activities. Whether the affiliate marketer is indulging in such activities deliberately or not is immaterial. Google claims that there are several affiliate marketers who deliberate create spam pages that are capable of changing the rankings of search engines. Some affiliate marketers create pages with PPC ads that are actually spam. However, there are several PPC ad pages that are certainly not spam, Google is very particular about its clients being aware of affiliate marketers indulging in such unethical practices, and is intent on rooting them out.